Nettle extract is available in supplement form. 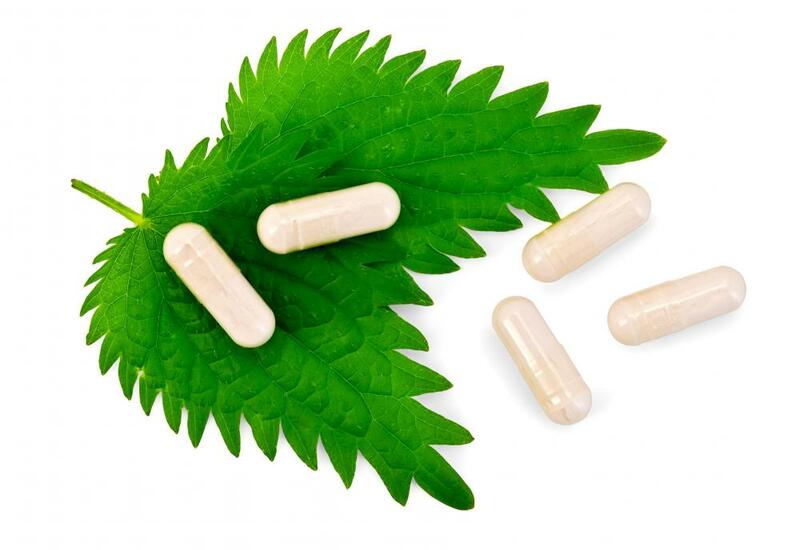 Nettle extract can reduce the effects of an enlarged prostate in men. Nettle extract is taken from the leaves or the root of the stinging or common nettle plant, many species of which grow around the world. The extract can be ingested as a dietary supplement in pill or tincture form, and it is believed to have several possible health benefits. The plant contains dense levels of vitamins and minerals and can act as a diuretic. Anti-inflammatory agents in the extract could have a number of positive effects for individuals with ailments from arthritis to eczema to allergies. Nettle root extract is commonly recommended for men, as it has shown an ability to increase testosterone levels and decrease the effects of an enlarged prostate. In terms of nutrient density, nettle extract has been compared to spinach. Those who are anemic may find the extract’s high levels of iron a helpful supplement. The plant also contains the green pigment chlorophyll. In human bodies, chlorophyll may have many positive effects such as an increase in oxygen to the blood stream and a decrease in free radicals. Nettle extract often has the effects of a diuretic. Individuals with urinary tract problems are usually prescribed diuretics because they stimulate the bladder and decrease painful bloating. Likewise, women who suffer from the physical aspects of premenstrual syndrome (PMS) often take diuretics in order to relieve swelling and retention in the reproductive system. Nettle extract is thought to help with all of these issues. One should remember to increase the intake of electrolytes when using any form of diuretic. Active ingredients in nettle extract have shown an ability to attack inflammatory agents that bond to joints and cause swelling and pain. For this reason, nettle leaf has been used to treat rheumatism and various forms of arthritis. It should be noted, however, that no government drug administration has seen sufficient evidence that the extract should be prescribed by doctors as medication. 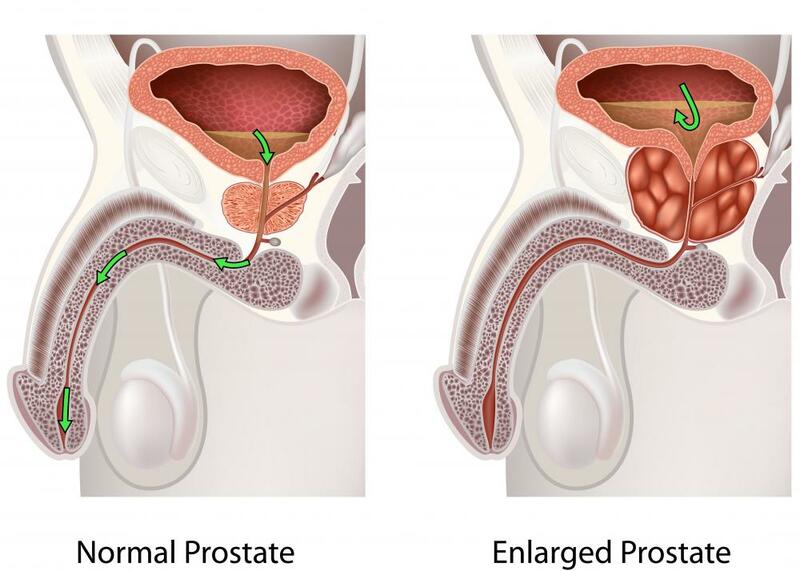 Benign prostatic hyperplasia (BPH), or swelling of the prostate gland, is a common occurrence for middle-aged and older men. This condition can have various negative effects on a man’s ability to urinate or to control the timing and frequency of urination. In vitro studies have suggested that nettle extract could not only reduce the symptoms of BPH, but over time, it could also decrease the size of a swollen prostate. Individuals who wish to increase testosterone levels may sometimes take nettle supplements. Those who take steroids for health or physical performance typically see a decrease in testosterone levels. Nettle extract could counteract this effect. How Effective Is Nettle for Allergies? What are the Best Tips for Buying Nettle? I just found out that nettle tea helps weight loss. Since it's diuretic, it helps eliminate excess water in the body and reduces appetite apparently. It's also packed with vitamin C, E, magnesium, iron and calcium I read. I was looking for an alternative to the green tea I have been drinking. I am getting a hold of some nettle leaves right away! When I lived in Germany for two years, I was prescribed a medication containing nettle extract for rheumatism pains in my ankles. They also prescribed stinging nettle extract for prostate problems and many other ailments. I think that Germans are as concerned about their health and the medications they are using as Americans. If nettle is prescribed in Germany, why can't it be prescribed in the United States? It's an ancient plant and has so many uses. I'd say we do the necessary studies in the States and start allowing doctors to prescribe nettle extract as well. Nettle leaf extract is one of the plants that promote hair growth and condition hair. I mix two teaspoons of the extract with two egg yolks and apply it on my hair, both on the ends and the roots. Just keep this on for 20-30 minutes and wash off. It really nourishes the hair. You can apply this once a week or once in two weeks to prevent split ends and make hair shinier. Mint leaf extract can also be used but I prefer nettle, I think it works better.